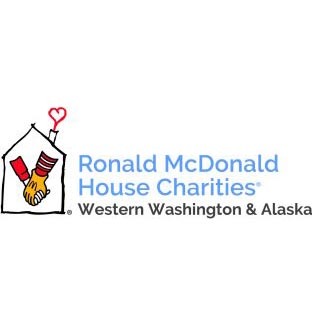 Mission: At Ronald McDonald House Charities of Western Washington & Alaska, they support seriously ill children and their families. At the Seattle House, they provide a "home-away-from-home" to help families through a difficult time. They also provide a van service for families staying in Anchorage while their children receive medical care. The Ronald McDonald House in Seattle is a “home-away-from-home” for families while their child undergoes treatment at Seattle Children’s Hospital. The House is built on the simple idea that nothing else should matter when a family is focused on the health of their child – not where they can afford to stay, where they will get their next meal or where they will lay their head at night to rest. In addition to providing housing, they also offer a stocked common pantry, meals through their volunteer dinner groups, activities and outings for kids, daily visits from certified therapy dogs, and many other services for their families. The House is so much more than a place to stay; it is a community. Volunteers play a huge role in supporting their daily operations. As one of the largest Ronald McDonald Houses in the world, they rely on volunteers to help provide a warm and welcoming home-away-from-home for families. Each month, over 500 volunteers contribute their time to keeping the House open every day of the year. Front Desk - The Front Desk is the hub of the Ronald McDonald House! Volunteers are the first people our families, visitors & staff see when they enter. The volunteer’s primary responsibility is to help the residents in any way possible & to assist in House management. Kitchen Supervisor - The Kitchen Supervisor is responsible for managing the Groups that come to the House to provide a meal for our families through our Family Meal Program. As Kitchen Supervisor, you are vital to the evening’s success. Your purpose is to provide support and direction to the group throughout the meal. Your goal is to provide a nice meal for our families and a rewarding evening for our group while staying within our preparation and clean up guidelines. Events Volunteer - Volunteer for a special event such as their annual RMHC Auction or Hockey Challenge. Family Resource Center - As a Family Resource Center volunteer you will staff the center where families check out movies, electronic games and game consoles. This is a great position for college students and individuals who would like direct interaction with families. Helping Hands - All those little housekeeping chores that you do in your own home also need to be taken care of at their house – and then some! Help them provide a comfortable, clean and welcoming home for families by lending a hand helping with these chores. Van Drivers - As a Van Driver you will provide relief and enjoyment for families by driving them, in their van, to local shopping centers, events and local attractions. Often their families do not have a car while they are in Seattle or are not comfortable driving in the city. Pantry Organizer - The House Pantry Organizer is responsible for assisting the facilities team in managing the organization of the food storage and the restocking of the family pantry. This position is vital to their food program and our ability to offer this necessity to their families.